When hunger strikes, you cannot always wait. There will be plenty of times when you will need something to eat and your stomach won’t allow you to wait. That is when you need a recipe that is easy and quick and will not compromise on taste. So, what could be a better escape than mushroom? 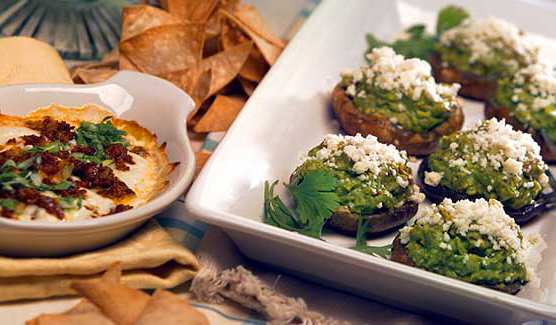 Yes, with such versatility mushroom can be prepared as main dish, as a delicious side dish and a quick snack. Let’s make a quick snack, which is healthy and delicious. Pre heat the oven at 350 degree. Grease the baking sheet. Wash the mushroom, break off the stems and keep aside. Do not throw the stems away, chop them finely. Take a shallow pan and heat oil in it over medium heat. Add the chopped mushroom stems and garlic in the oil. Cook it until the moisture is completely gone but do not burn garlic. Remove from flame and keep aside to cool. When the mushroom and garlic moisture is cooled down, shift it in a bog bowl and add parmesan cheese, cream cheese, opinion powder, black pepper and cayenne pepper. Mix it all together; make sure to keep the consistency thick. Now, with a small spoon, fill all the mushroom caps with right amount of mixture. The mixture should not be less. Place them careful on the greased baking sheet. 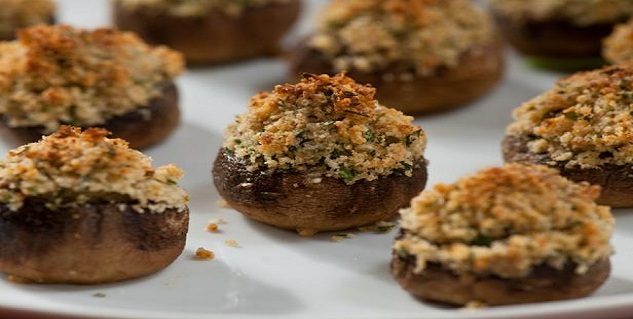 Bake the mushrooms for 20 minutes in the preheated oven. The mushrooms should be piping hot and become soft. The cheese will melt completely. Take them out, garnish with some parmesan cheese and serve hot with melon surprise drink.